Here at Vanilla Monkey, we are constantly striving to provide our customers with unrivaled customer service. We understand the process of waiting for your order can be frustrating therefore aim to ensure the fastest and most efficient method of processing and shipping your package out to you. If you wish to hold to add your backorder / pre-order item(s) to your next shipment, please let us know via email at info@vanillamonkey.com or on the comment section before checking out. VanillaMonkey.com ships within the United States and Internationally. To return an online purchase, please refer to the procedures below. 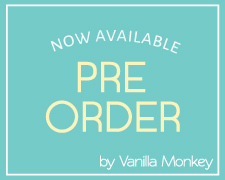 Please note that the return policy described below is only applicable to online purchases made on www.vanillamonkey.com. If you are not completely satisfied with your purchase, you may return them for store credit. All returns must be authorized by e-mail or phone call within 7 business days upon receiving the package. You can e-mail us at info@vanillamonkey.com, or contact us at 213-622-3357. Return requests made after 7 business days will not be accepted.